Are You Pricing Your Hair Styling Services Correctly? Pricing can depend on the area where you work as well as other factors. Hairstylists work hard at developing their skills and attend cosmetology continuing education to learn how to stay abreast of the newest trends. Some even open their own shops. Running a business means making many decisions, and one of the most difficult is deciding what to charge customers. Seems easy, doesn’t it? It isn’t. It means you have to take a hard look at what the business needs to stay alive and how to get there. Let’s look at what you need to do. Sit down and figure out how much it costs per client (stylist salary, paying someone to clean up after each client, etc. ), the amount of traffic you need on a daily basis, and how much profit you will make. Once you’ve done that, you have a working amount. Now do it for all the services you provide. Don’t forget to check the competition in your area, and make sure you are competitive. This gives you a price list with which you can work. There are particular days of the week or hours of the day when the flow of traffic is slow. Use that to modify your price per service. For instance, if Mondays from 10 a.m to 1:00 p.m are slow, give clients a discount during that time period. This lets you draw in new clients who appreciate the discount and keeps revenue flowing. One suggestion to increase traffic and bring in new clients is to cut prices during off hours. This may be a little tricky, but it helps you in two ways. It lets clients choose a stylist who is talented but just starting out to get a lower price. It also gives the stylist a goal. If, for example, the stylist builds up a customer base that keeps him or her busy 80 percent of the time, give the stylist a reward by increasing their tiered pricing by 10 percent. Post the price for each stylist, so clients can make educated choices. Starting out, it is a good idea to look at what other stylists charge for different services. Of course, the price you settle on will be dictated by location. Updos: These are styles commonly used for formal events such as chignons. Generally, there is one price for formal styles; however, it can differ for longer or thicker hair. One shop in Los Angeles charges $120 for an updo and raises that to a maximum of $140 for thicker or longer hair. 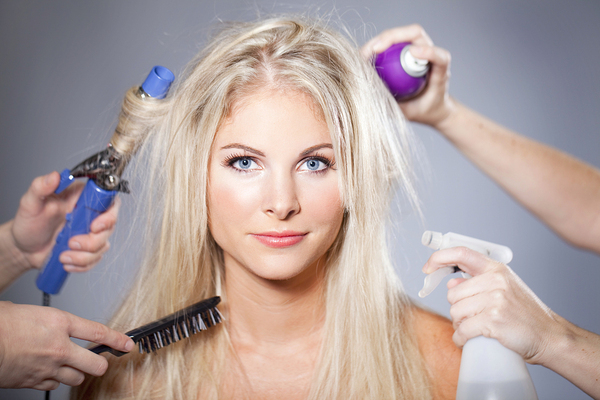 Blowouts: This refers to shampooing, conditioning, and styling. Prices in L.A. usually start at $85 with a higher rate for thick and long hair. Extensions: This is a popular way to make hair look thicker and fuller. There are two types: temporary ones that are clipped in and more permanent ones that are woven. Additional differences are between human and synthetic ones as well as whether or not the client has their own. Such styles start at $175 for a full weave down to $20 for an extension clip. Haircuts: A haircut can range from $35 to $150 in L.A. 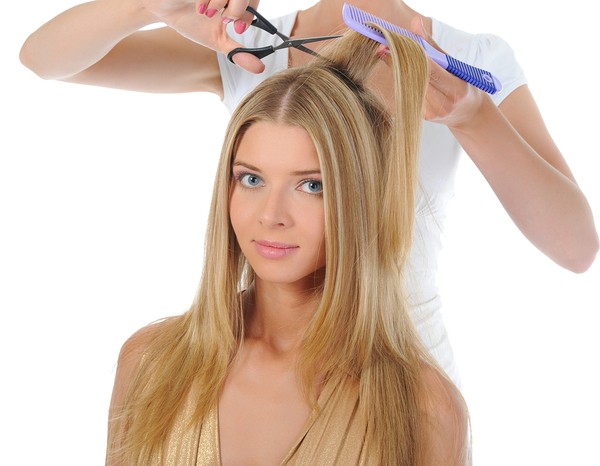 Some stylists will charge slightly more if the person’s hair is thick, long, or requires additional touches. Bridal Groups: Many times, a bridal party will settle on a stylist or shop to take care of everyone from the bride to the mother of the groom. Since the bride’s hairstyle is the focus of attention, it usually costs in the range of $80 to $95. Other members of the bridal party such as the mother of the bride or the groom are usually quoted at about $50 to $55. Discounted Services: Sometimes, services for a group such as a bachelorette party are provided at a discounted price. This is an excellent opportunity to show off your services and perhaps gain a few new customers in the process. The amount that is discounted varies from one shop to another. By increasing services and providing special prices for weddings or other groups, you can add to your regular clientele. Taking advantage of online continuing education is one way a cosmetologist can save time. Beauty Academy makes it easy to do just that. Simply download the coursework, and read it over when you have time. Then, download the test, and submit the answers online. You’ll be able to download your certificate of completion too. You don’t have to pay until after you’ve done the work. If you have any questions, look over our website or call one of our well-informed representatives. Check out our courses to find out more. Do You Need a Branded Salon App? Should You Buy an Existing Salon? What is the Difference Between Booth Rental vs. Traditional Salons for Stylists?